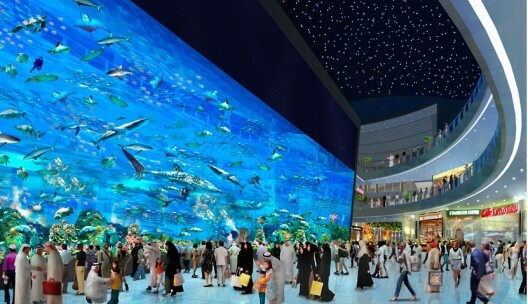 Dubai Aquarium & Discovery Center in The Dubai Mall, which plans to opens on November 4, 2008, has clinched the Guinness World Record for the ‘World’s Largest Acrylic Panel’. The aquarium will showcase one of the most diverse collections of 33,000 plus marine life worldwide, according to mall officials. With one of the largest tanks in the world at 51 meters by 20 meters by 11 metres, the aquarium will feature the world’s largest viewing panel, which will be 32.8 meters wide, 8.3 metres high, 750 mm thick and weighing 245,614 kg. The viewing panel at Dubai Aquarium surpasses the current Guinness World Record holder, Churaumi Aquarium in Okinawa, Japan, at 22.5 metres wide x 8.2 meters high and 600 mm thick. Click here to see the image in Full Size…. The facility, built by Oceanis Australia Group, has a capacity to hold 10 million liters of water and will be completely illuminated. The aquarium is built in the center of the mall and is flanked by two acrylic tunnels that offer views of the diverse marine life within it. 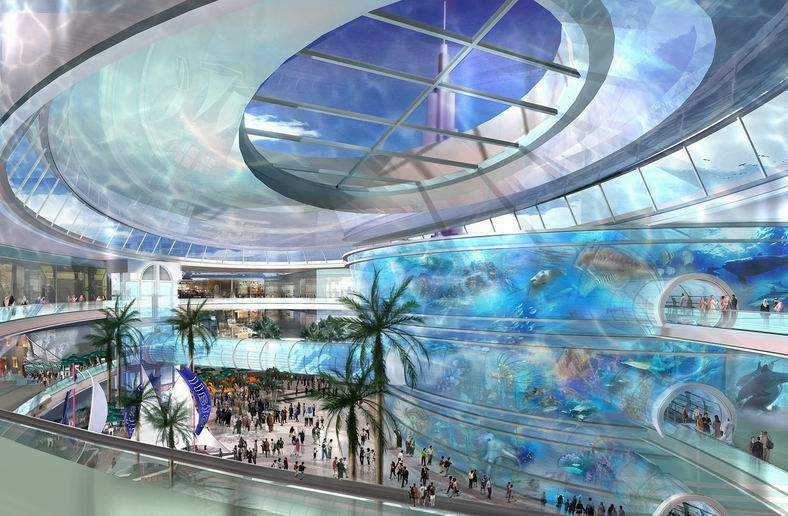 Special acrylic has also been used to build the world’s largest indoor marine mammal pavilion at the mall. Though glass is traditionally used for aquaria, acrylic has proven to be stronger and lighter, with acrylic-soluble cement used to fuse the material together, allowing for the formation of unusual shapes. The 12.1-million-square-foot Dubai Mall will be the biggest in the world in terms of total size. It will include the region’s first SEGA indoor theme park covering 76,000 sq ft, the world’s largest indoor gold souk with 220 retailers, an Olympic-size ice rink, and The Grove, an indoor-outdoor street scape with fully retractable roof.